The Independent Commission for People’s Rights and Development (ICPRD), a national advocacy coalition was formed in 1996 to protect the rights and development of the vulnerable constituencies particularly women, workers, farmers, youth and indigenous people. 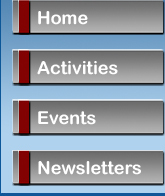 It is a broad coalition of development practitioners, advocates, academics, policy makers, opinion molders and media. ICPRD’s main activities include policy advocacy, mobilization at the grassroots, capacity building, attitudinal research, training technologies, building alliances and networking. Over two decades, ICPRD has engaged approximately 1,000 voluntary agencies, CBOs and civil society agencies participating in 21 states and 158 districts in India, and undertaken such activities as transforming indigenous and poor women into social entrepreneurs through micro credit programs, citizen’s interface with Parliamentarians on good governance, combating trafficking of women and children etc. ICPRD developed a pioneering model in Karnataka and Rajasthan wherein male youths have been mobilized to combat gender based violence. ICPRD’s focus has been on gender issues including empowerment of women, both economic and social; engaging male youth into forums to combat gender based violence, financial inclusion through co-operatives, revolving credit funds and multifaceted credit plus strategies, combating agricultural distress caused through droughts, pro-poor advocacy in poorest states of India. 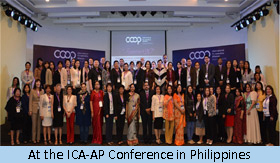 Its research study on the status of ‘Gender in Cooperatives in Asia Pacific’ was presented at the Regional Conference on ‘Status of Women in Cooperatives in Asia Pacific’ in Philippines in February 2016. ICPRD Member Secretary Dr. Nandini Azad chaired the session on ‘The Role of Women and Youth in Cooperatives’ at the 16th Indian Cooperative Congress, organized by the National Cooperative Union of India, New Delhi in 2013. Besides, ICPRD was invited to contribute in several international engagements, summits and roundtables including special address at the “Sustainable Development in South Asia – Women Driving Change in SAARC” at the SAARC inter-country workshop in New Delhi in November 2012, “Harmonizing Inclusion with Growth: Lessons from Multi-stakeholders in Agriculture and Food Security at the UNESCAP High Level Policy Dialogues on Regional Cooperation and Inclusive Development in South and South-West Asia in October 2012, “How can Microfinance contribute to Restoring dignity and Transforming lives in Urban Slums’ at one of the Plenary at the Global Micro Credit Summit in Valladolid, Spain in November 2011. 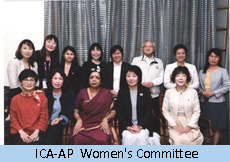 In November 2016, the Member Secretary, ICPRD Dr. Nandini Azad was elected as Vice Chairperson of the Women’s Committee of the International Cooperative Alliance –Asia Pacific (ICA-AP). 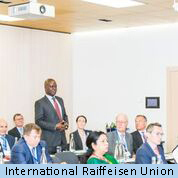 Dr. Azad is the first woman Special Invitee on Gender Diversity on the Board of the International Reiffeison Union. As recent as in 2016, the UNESCO announced the inclusion of cooperatives as a world cultural heritage. ICPRD Member-Secretary, Dr. Azad is a non-official Board member of the Rashtriya Mahila Kosh (National Women’s Credit Fund), Government of India and was Chairperson of its Revitalization Committee. At the United Nations High Level Political Dialogue on Sustainable Development Goals (SDGs), Dr. Nandini Azad was invited as a panelist on ‘Women in Cooperatives’ in New York on 14th July, 2017on the occasion of theInternational Day of Cooperatives celebrations.